Discreet in design, yet unforgettable in performance. The new BeosoundEdge is a unique speaker and minimalist design object, delivering powerful and dynamic audio to your home. Let clarity of sound, elegance of form and magical interaction inspire your imagination. Beosound Edge aims to bring together the need of a compact design that embraces the modern living standards, yet, is surprisingly powerful and adaptable. Deriving from the acoustical technologies found in BeoLab90/50, BeosoundEdge is able to transform the experience to fit the moment. 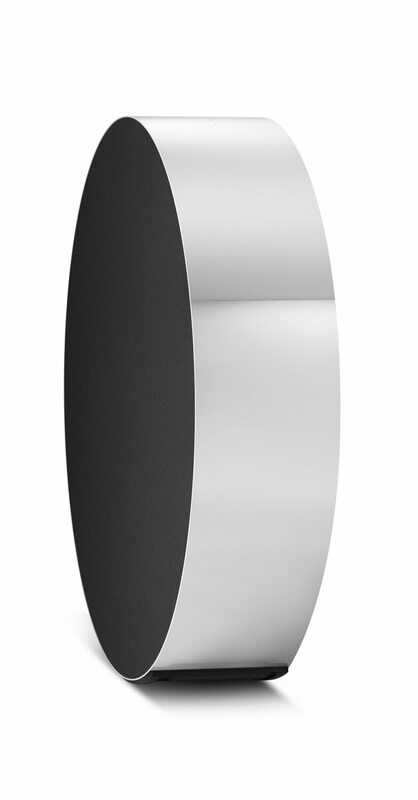 Beosound Edge can deliver sound in 360, or 180 degrees, depending on the selected mode from the user. In Beosound Edge we can alter from a closed box to a ported design when necessary without the customer needed to do anything. It happens automatically and is fine-tuned to perform the best way in both designs. A mechanical system will open or close the port, changing its capabilities, depending on the required reproduction levels. The sound performance is enhanced by the Active Bass Port design, a unique slim woofer design, and powerful Class D amplifiers that give us control of every single driver. Beosound Edge has 5 high quality drivers (2 x tweeters ¾”, 2 x mid-range 4” (same as BL50), 1 woofer 10”). The woofer is a custom part that has an innovative slim design and long excursion giving great bass capabilities. In order to deliver powerful sound experience at high levels, larger speaker designs are often required. 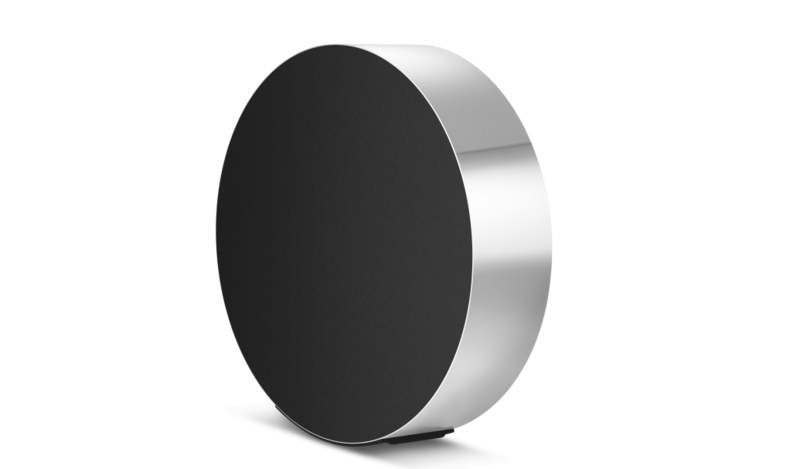 Beosound Edge confronts this requirement by making use of a ground-breaking acoustical technology, the Active Bass Port design. This allows BeosoundEdge to deliver powerful sound experience in a surprisingly compact footprint. Imagine a coin elegantly balancing on its side almost ready to roll away and there you have the inspirational background for the BeosoundEdge. 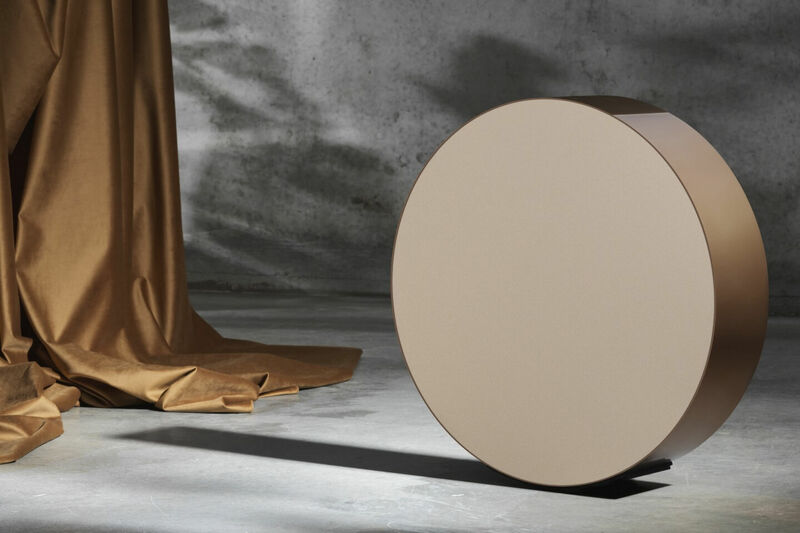 As the first Bang & Olufsen product design from the hands of acclaimed lighting designer Michael Anastassiades, the speaker is a testament to his minimalist design approach. Looking completely unlike your average home speaker, the simplistic aluminium circle has the look of a contemporary art piece. To Anastassiades, the continuous process of eliminating superfluous elements is far more daring than adorning an object with extra details. As visually complex objects may impress at first sight, the novelty quickly dies because everything is served to you at once. Instead, his intention with the BeosoundEdge was to create a timeless object that sparks the imagination. This is a speaker that feels your presence. As you approach, the Beosound Edge comes to life –lighting up the interface thanks to proximity sensors. You can then start, stop and skip tracks with a simple tap on the touch sensitive aluminiumsurface. The essential speaker controls will then fade to black again when not in use. 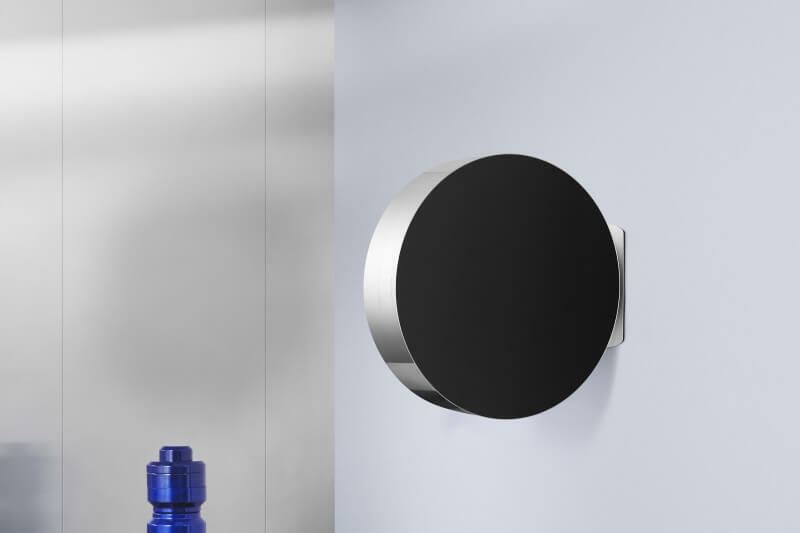 The Beosound Edge is calibrated to read the force of your touch, adjusting the volume as you roll the speaker back and forth, even when placed on the gravity-defying wall mount. A gentle movement changes the volume moderately. A stronger touch and the change is more dramatic. Regardless, the speaker will always return to its centre. Perfectly balanced design. Perfectly balanced sound. Change the direction of sound. Change the atmosphere. With the choice of three directional sound settings the Beosound Edge caters to the flexible requirements of the modern home. Playing through either side of the speaker will let you direct the sound for a more intimate listening experience. Selecting the True360 omnidirectional mode will fill the entire room with that renowned Bang & Olufsen sound for everyone to enjoy. The Beosound Edge gives you ultimate freedom in how you play music. 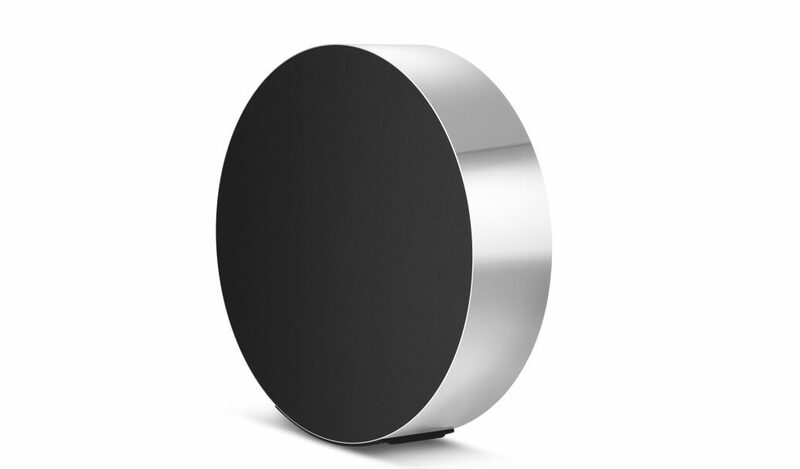 It is an all-in-one wireless speaker with effortless music streaming via AirPlay2, Chromecast built-in or Bluetooth. With integrated Multiroom technology it also allows you to connect multiple speakers throughout your home into one seamless audio system. 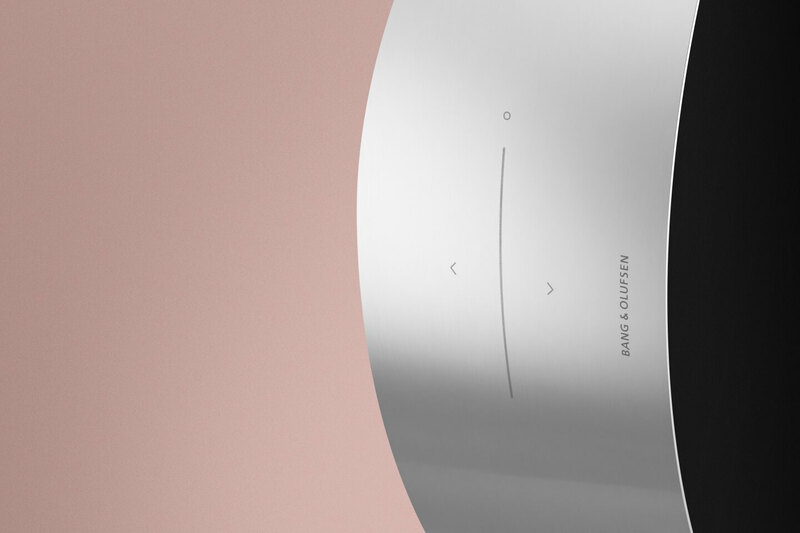 The luxurious simplicity of the BeoSound Edge is first and foremost reflected on it’s minimal and timeless design. Inspired from a British £1 coin standing on its edge, it creates a dynamical impression, yet its geometric shape gives it the longevity to be a design classic. 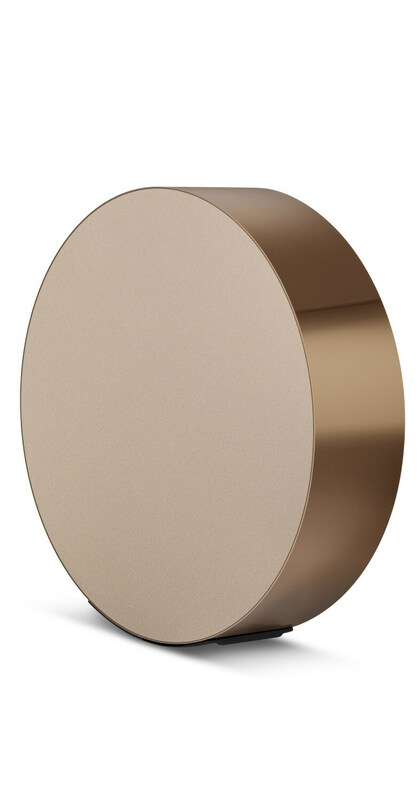 Comprising of its compact circular form and polished aluminum body – with BeoSound Edge, less is more. BeoSound Edge can be positioned to complement furniture on the floor, or as a gravity-defying statement on the wall. True craftsmanship demands tenacity, passion and curiosity. 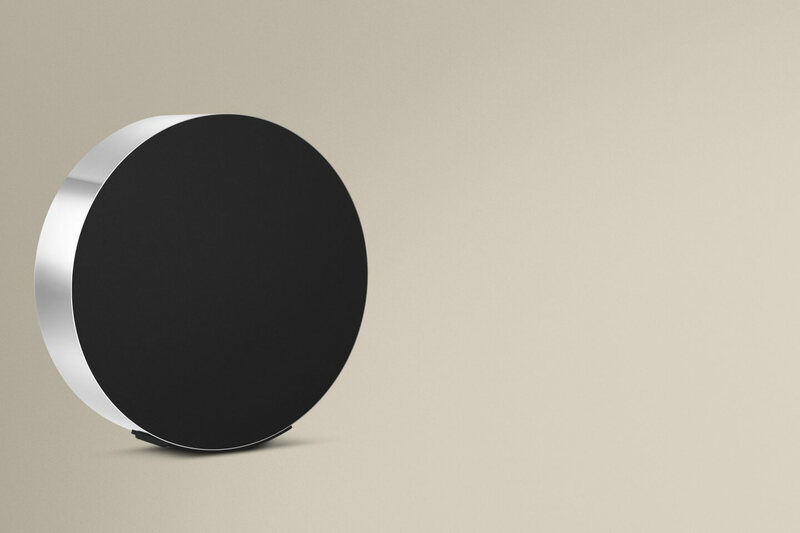 BeoSound Edge is a speaker where no compromises were made on materials and craft. Remarkable craftsmanship and attention to detail was required to achieve the perfect circular frame and then to polish this exterior into a flawless finish. 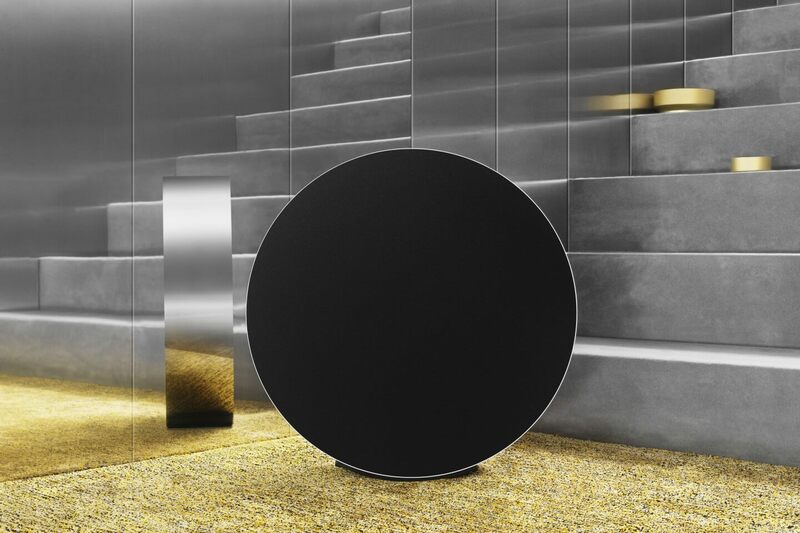 True Bang & Olufsen magic is added by combining touch-on aluminum with light-through aluminum, which is formed with invisible microscopic holes. Information about key product features. Experience BeoSound Edge in your home. Don't miss a manufacturer's campaign or other advertisings where the price is reduced for a limited time. We will inform you automatically if your desired price for BeoSoundEdge is reached or we have another suitable offer for you.